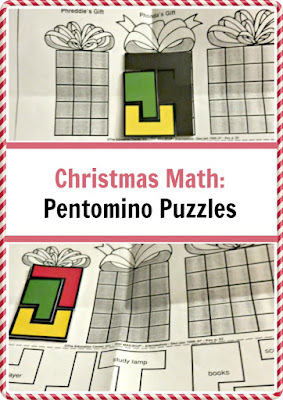 Keep kids’ brains working during Christmas season with this fun Pentomino challenge. Disclosure: I am an Amazon associate and this post contains Amazon affiliate links. 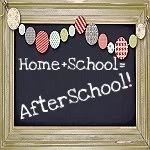 For full disclosure, please click here and thank you for supporting my blog! We are all looking forward to Christmas break, and Smarty’s school is celebrating winter holidays with special projects. 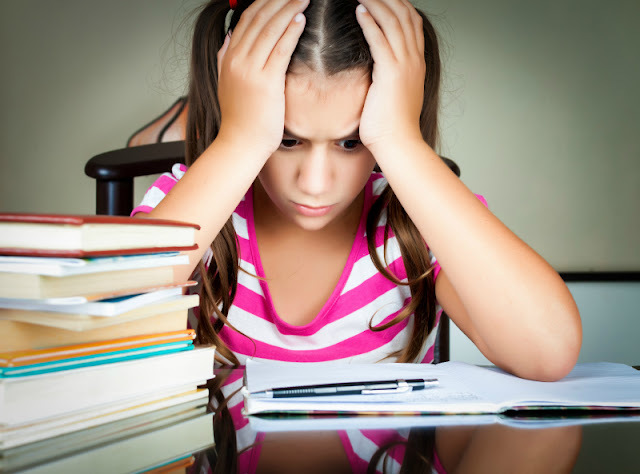 During math classes “fast finishers” could pick something from a “challenge station”. Most of the worksheets were of “calculate and color” kind, but during my volunteer hour I spied a very interesting worksheet that reminded me of my childhood. Pentomino puzzles were quite popular in Russia that has a rich tradition of math puzzles and math games. If you don’t have your own pentomino pieces at home, you can use this printable from Scholastic and make your own. We happened to have Magnetic Brainteasers at home, and it was a good opportunity to finally try pentominoes out. 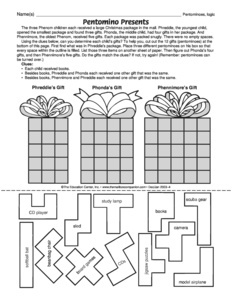 The challenge is pretty obvious – you need to “pack gifts” into rectangles using 3 pentomino shapes for the first one, 4 for the second one, and 5 for the last one. 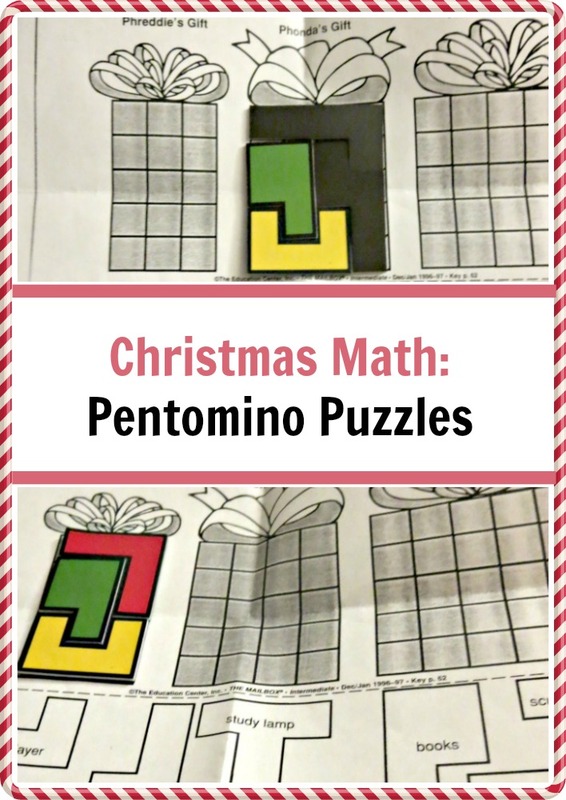 I found a thumbprint link to this worksheet online by doing a search for Christmas pentominoes, so you can access it here. Interestingly, Smarty said that she and another boy tried this challenge in the classroom, but from what she described, both of them didn’t bother to read instructions and combined several pentomino sets together. She was able to solve the challenges at home with me providing “moral support”. Now she is trying to figure out more complex pentomino challenges in her brainteasers book. 3. Sun, Hats & Wellie Boots made these intricate Christmas mobiles from homemade clay. We did some Christmas clay crafting too, but ours are not as smooth and pretty! 4. 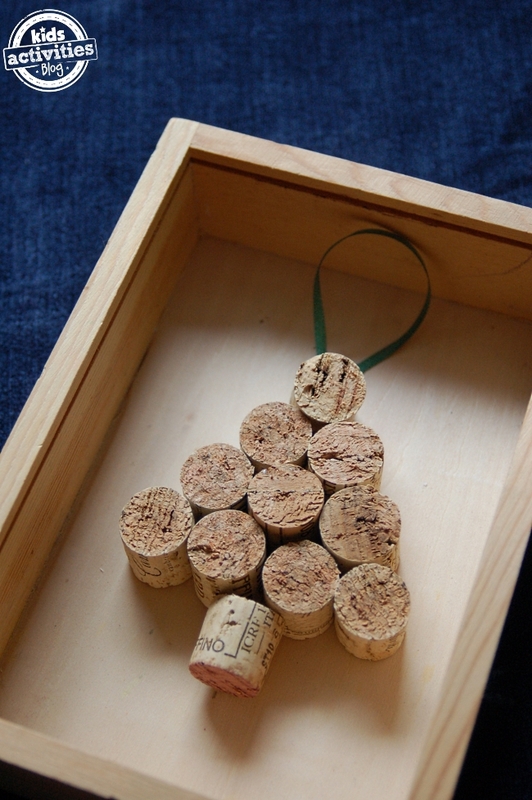 Kids Activities Blog shared several beautiful Christmas crafts, but my favorite was the one with homemade cork ornaments. We have quite a collection of corks, and it would be great to do something with them. 5. 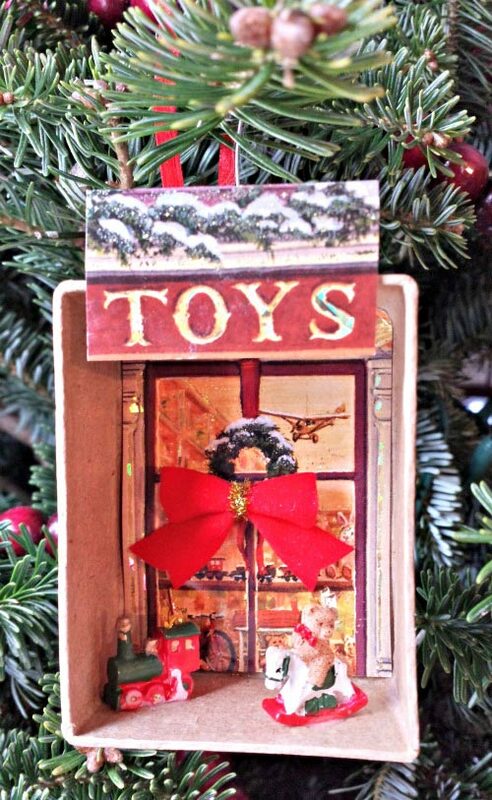 There were many-many homemade ornaments shared, but this vintage diorama ornament from KC Edventures took the first prize in my heart. I so want to go shopping for little things on after Christmas sales and make one with Smarty next year. Have you ever tried pentominoes? Oooohhhh, a pentonimoes Christmas challenge might be fun. My kids love the calculate and color sheets. It amazes me they don't have the visual acuity yet to see the shapes and how it should be colored. 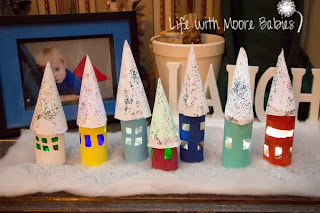 Thanks for hosting and featuring our Light-Up Winter Village! We have some pentominoes from my own childhood - I need to check out that link! Wow! Pentominoes! I haven't see those in years!!! Great ideas!